60 minute 4-channel audio-visual performance, hosted by Monkeytown in Brooklyn, New York on December 16th, 2007 and January 6th 2008. We are transported to a magical forest, when in enters a Yellowman. He is the dance of time, the dance of falling, a string of multifaceted moments suspended in time. This is a piece about time, memory and the unknown. 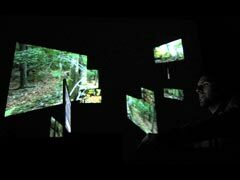 4 unique and time sync’d video signals, produced on each wall of a large square screening lounge. 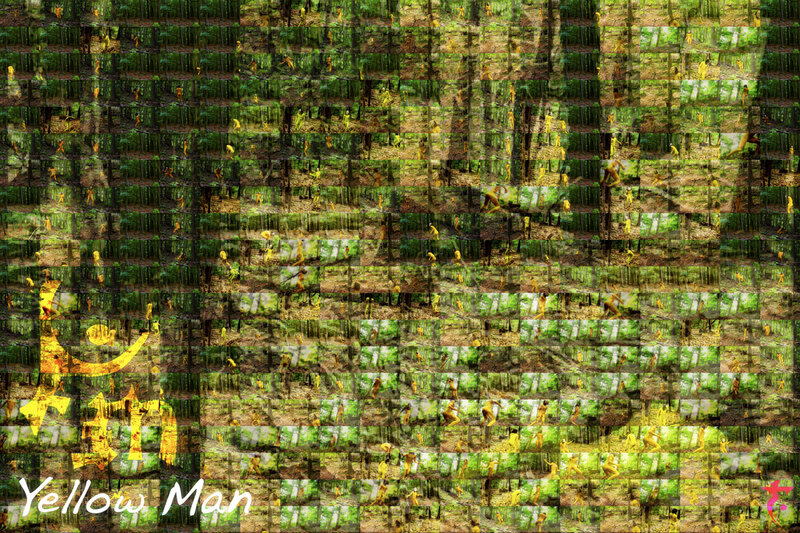 The video is composed of 6 different perspectives of the same scene of a yellowman dancing in a forest, with digital imaging and motion graphic effects . 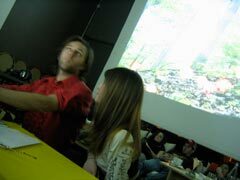 The audio is composed live from presorted samples taken from field recordings during the video shooting and from reprocessing the live signal from the camera microphones. The sound is split into 4 independent channels placed in a diamond to the projections square with 2 center bass points making a 4.2 sound system.